Tiger Woods uses a Taylormade M1 three wood and is toying with a few different shafts. Of course, with his 129 miles per hour clubhead speed, he doesn’t need much forgiveness. The rest of us do. When we compile a list of the best 3 wood clubs, we cover the tech and the sweet spot. And, most important, for who’s game the club will most benefit. We also include what you need to know before you buy. No one wants to find out, too late, their new fairway wood doesn’t come with the settings they need. 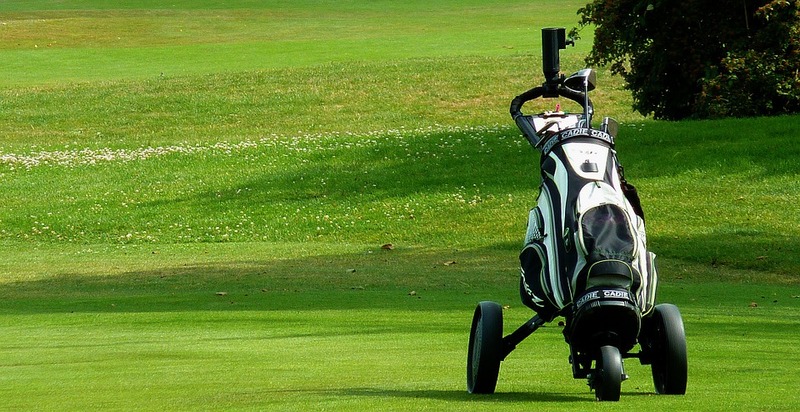 For other golfers, having settings in the first place is a drawback. Here’s our best 3 wood 2019 buying guide. With further ado, let’s take a look at our picks for the best 3 wood on the market. Players review this one of the best game improvers for fairway play. They’re able to stay in the short stuff and achieve more distance. The lightweight club and shaft make it perfect for those without a perfect game. 8 settings allow players to gauge loft and lie angle. Forged hyper-speed face cup offers a super-sized sweet spot. Design of soleplate makes balancing tough shots a breeze. The short shaft is excellent for control, lightweight, and great design. One of the most popular clubs of its kind. Those who prefer matte won’t appreciate glossy finish. This Cobra King gives an extra club without bunging up the bag. The front-to-back change feature allows tinkering with its center of gravity. Both spin and distance can improve. All this in one of the best looking clubs. The moveable front CG position offers up more spin. The rear CG position offers a long, hit-forgiving flight. Loft settings (13-16 degrees) give players options from shots to abilities. The trench around the clubface minimizes weight and increases control. Great looking club. The options from two clubs for specific game improvement. Players not wanting too many options may find the variety of settings tedious. Mid-handicap golfers will appreciate the minimalist (three) settings for the loft. This is all they need, and all the club offers. Fans cite the great feel and the new larger forgiveness factor for this club as must-haves. A channel along the clubface giving a greater distance from the tee or the lie. The highspeed face insert increases speed along the entire face. This club is easy to use from any lie. And, the distance the club offers allow players to turn to this as a driver. Those looking for dozens of settings may want to overlook this one. If you haven’t heard of the brand, there’s a good reason. Tour Edge does not do top-end marketing but offers a top-end product. So, for the budget conscious (who isn’t?) this club ignores the rule that you get for what you pay. Offset designs offer slice control. Variable face thickness launches your shot with precision. Glorious heights over the fairway await due to a ginormous sweet spot. A budget friendly, great looking club with tons of forgiveness. From new players to those carving down their handicap, the club that keeps on giving. Those looking for loft adjustments won’t find them here. One of the premier club makers offers up a sleek design, matte finish, and state of the art engineering. Impact position is lower, offering higher loft and speed. The thinner crown gives this lightweight club a higher loft on lower speeds. Face bends easier, storing more power from the swing. The wood gives a consistent strike and more accuracy. The lower profile doesn’t give much room for missing the sweet spot. The matte black a massive clubface of stainless steel. Comfortable grips help deliver control and ease of swing. Graphite shafts, three moveable weights, and multi-settings allow golfers to adjust their shot. Forgiveness is high with dial-up features. The settings give players more consistent shots from the tee and the rough. One of the shortest clubs on the list. Though great for control, more heavy hitters may disagree. The weight distribution around the lower area of the head offers excellent forgiveness for mishits. The design and look are well above average, and prices give buyers good value. The precision of the shots are thanks to stainless steel and carbon design. Over previous versions, engineers improve aerodynamics that doesn’t resist swing power. For those working on their long game, the Rogue hits all the marks. This club improves consistency with its higher launch. Players with higher skill levels may prefer less give. Four-way adjustability gives players options for a clean drive or lob from the fairway. High-end designs and colors give this club a standout appearance. Shockwave design on the sole puts the weight to the front, offering less spin and more accuracy. Compact design, user-friendly settings, and versatile. Great for those dialing in their game. May not be the choice for high handicappers. Mid-level players benefit most. Users report the Epic is superior off the deck. Substantial on tight drives, both solid and forgiving. Carbon build gives this lightweight club accuracy. The elliptical shape has minimal resistance and higher speeds without more effort. Shot distance is superior thanks to Hyper Speed face cup. Several loft selections ensure consistency from any lie. Budget-conscious players may find it pricey. This wood is great for those with a slower swing. Longer distances are a snap for those at average level play. The small head design boasts an upside-down feature, allowing players to get the ball up high and in a hurry. Stability is the key here, thanks to the tri-level sole and low profile. A value price for a sturdy, no-frills play. Good pick for beginner to average play level. Players with a hefty swing may shy from lack of distance they get from this club. Why Do You Need the Best Rated 3 Wood? Whether you decide on a hybrid version or a one-hit wonder, the right 3 wood gives you game you won’t otherwise have. We know that 90% of your golf game is between your ears. But, the right tools matter too. Need more guides? Check ours here.